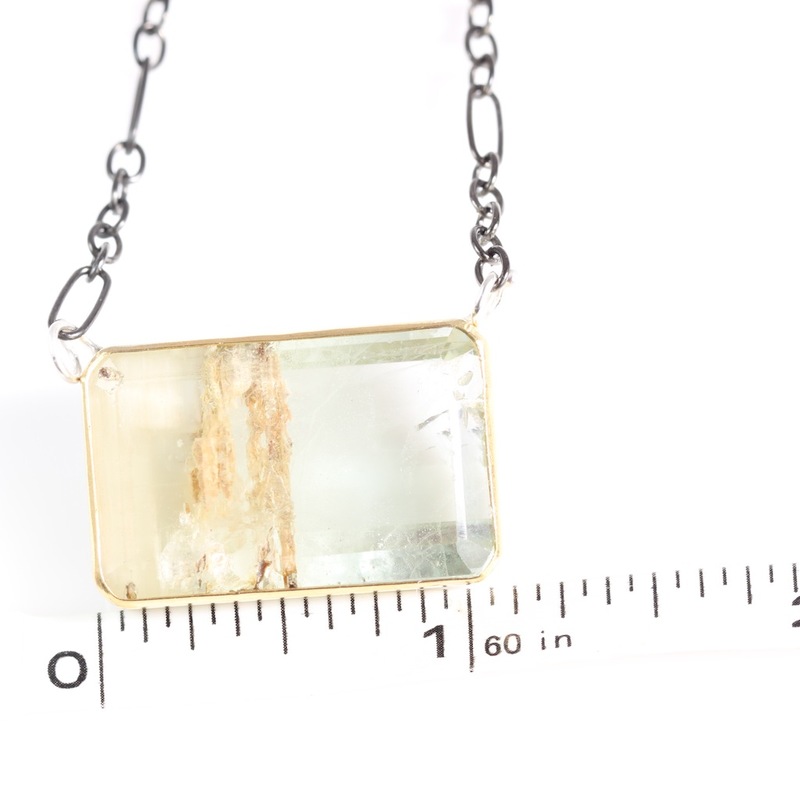 From the “Green With Envy” jewelry collection: Big (and I mean honkin’ BIG – over an inch wide big!) 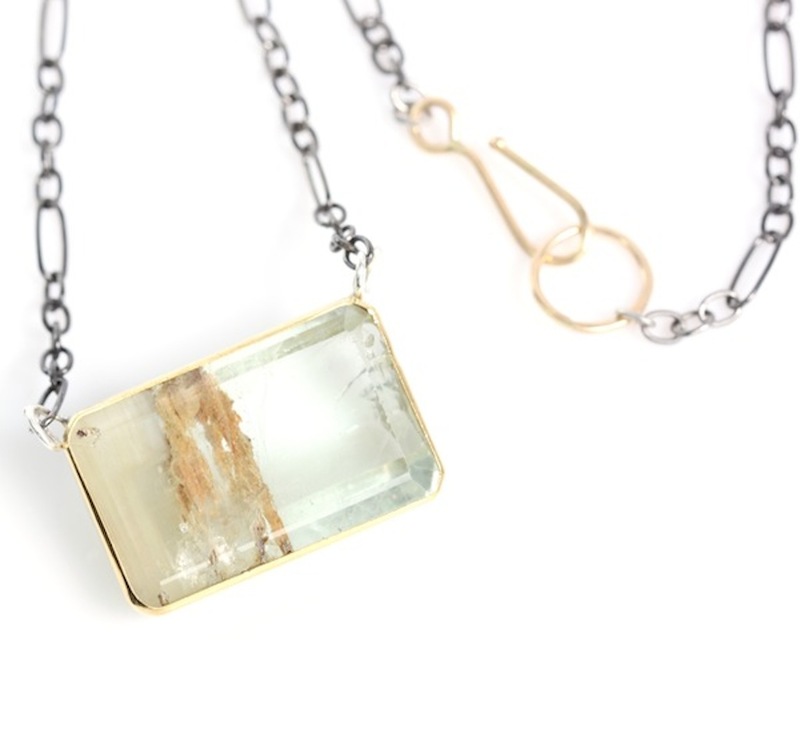 emerald cut pale green beryl pendant necklace, with gorgeous scenic inclusions. 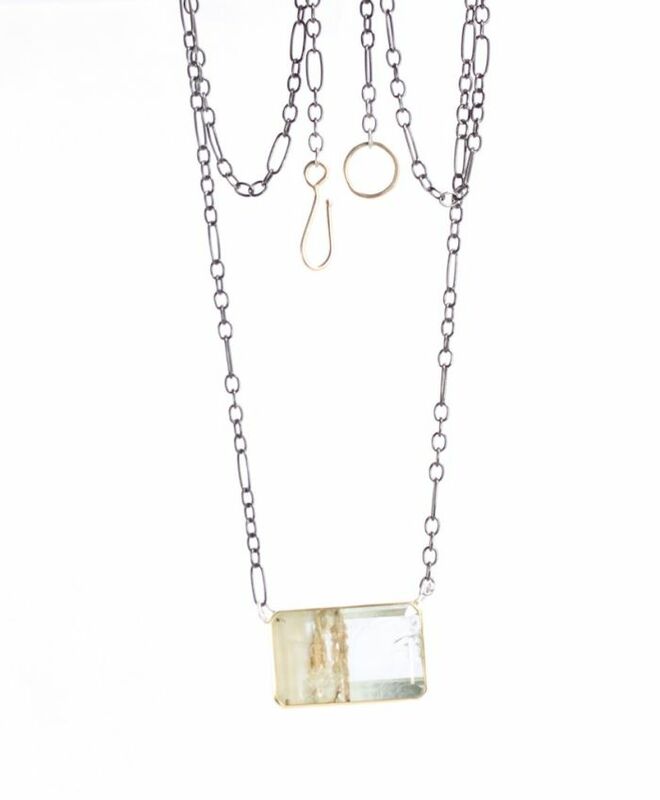 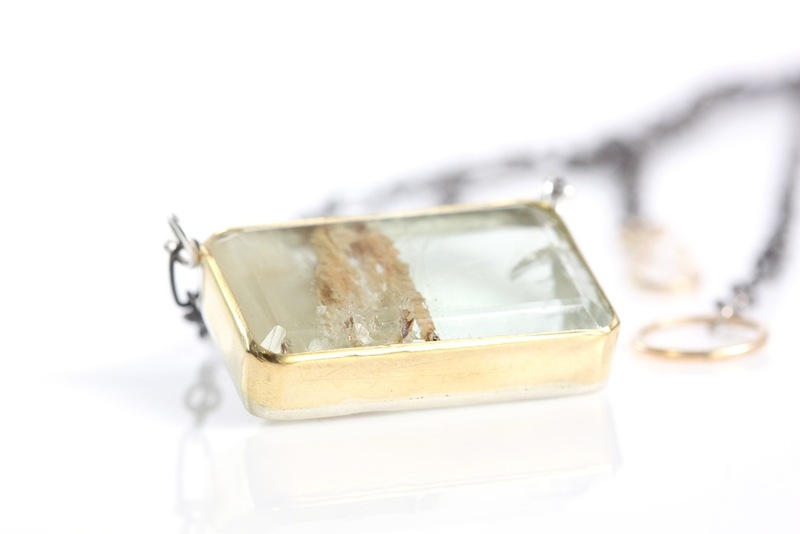 This one of a kind emerald cut baby is handset in a 22K gold bezel with a sterling silver cut out back; oxidized sterling silver chain and handmade 18K hook clasp. 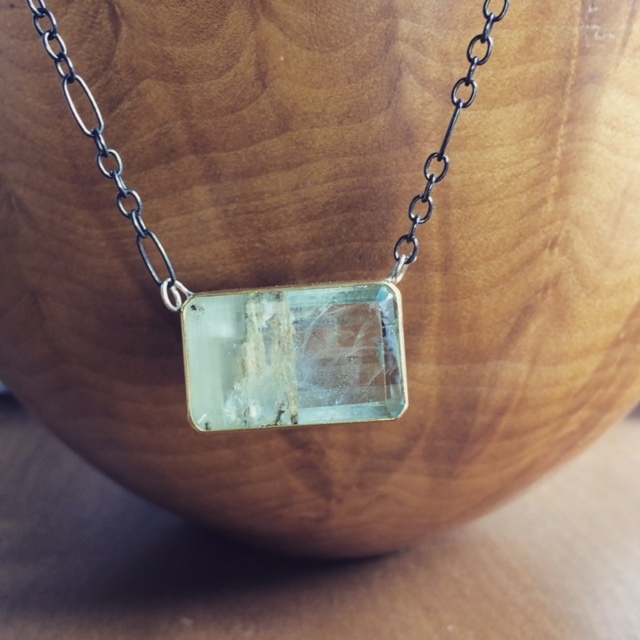 The Metaphysical Particulars: Green beryl is a “healing” crystal. 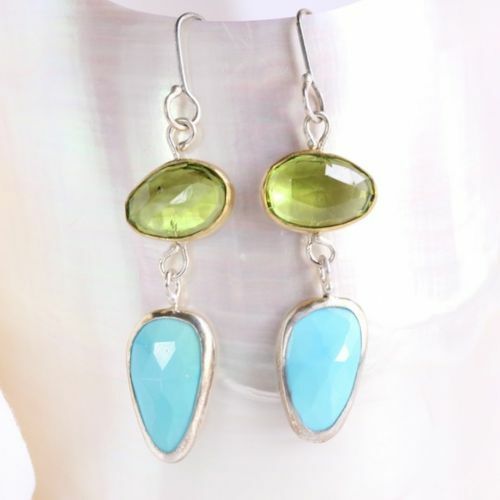 Jewelry to lift your spirit! 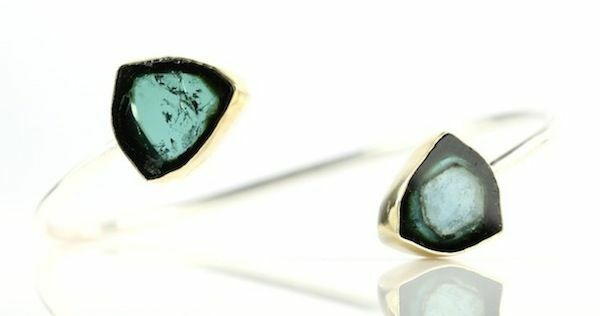 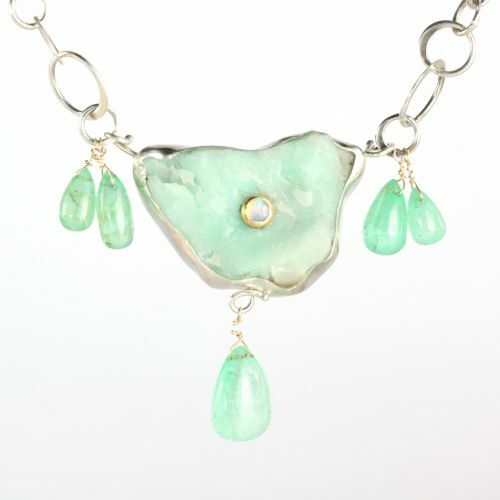 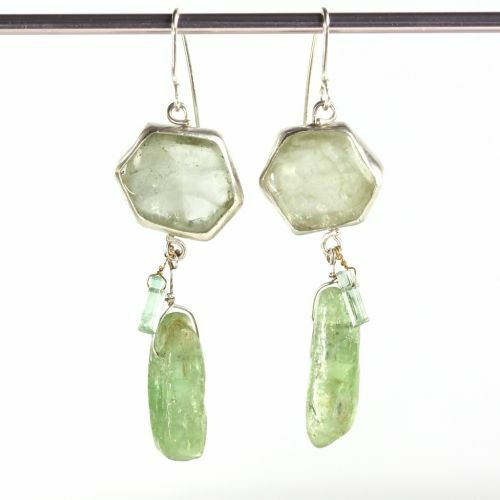 Leda Jewel Co jewelry is created entirely by hand, with natural crystals and gemstones, recycled gold and silver.